In most cases the view is the other way around, the deer watching the humans from the safety of the hills. 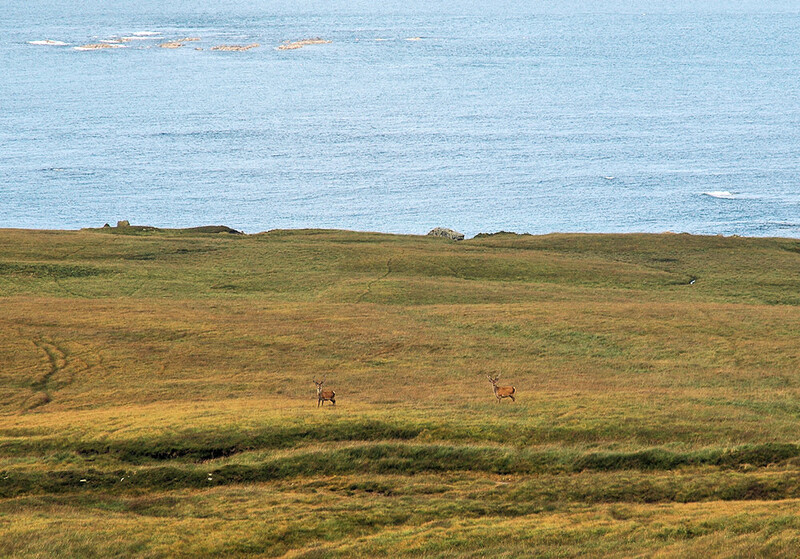 Here I was able to watch these two from the hills looking down on to the raised beaches along the north coast of Islay. This entry was posted in Landscape, Repost, Sunny Weather, Wildlife and tagged Deer, Islay, raised beaches by Armin Grewe. Bookmark the permalink.